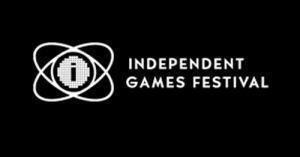 Guacamelee IGF Finalist for Excellence in Visual Art! We have some amazingtacular news! Guacamelee is a finalist at this year’s Independent Games Festival for Excellence in Visual Art! A big congratulations to our art team who are working hard to make Guacamelee look so good. So to Steph, Augusto, Ben, Tameka, Jay, and Tanya: congratulations! We still have a ways to go before Guacamelee is a finished product, but it’s great to get kudos like this to let us know we’re on the right track. Would you like a closer look at the creative process here at Drinkbox Studios? Then take some time to watch Augusto and Graham chat it up in the short video we made for our 2012 Indiecade nomination. Also, congrats to fellow Toronto devs Asteroid Base for Lovers in a Dangerous Spacetime being a finalist for Excellence in Visual Art! All the finalists are so darned good-looking, what an honour! This entry was posted on Monday, January 7th, 2013 at 2:51 pm	and is filed under News. You can follow any responses to this entry through the RSS 2.0 feed. Both comments and pings are currently closed.